Despite the period the house is warm and smell “sentimental” mostly because of the woods that have been burning in the fireplace the previous days. The blinking lights of the Christmas tree are shining over a 9-courses dinner table that I have just finished to eat with the whole family. I am now putting on my favorite flannel pyjamas of the power ranger (remember those?). I set up the alarm of my clock at 7:00 even though I already know that it will be useless since I will be awake much before the alarm will go off. I can’t wait to wake up! just like the same day over the past 4 or 5 years. In the morning, few minutes after the dawn has started, I jump off the bed and run downstairs literally diving under the tree. As you may have understood this episode happen several years ago but the euphoric feelings of giving and receiving new stuff that later I have learned is simply caused by the release of endorphins into their brain still persists nowadays without any power from my conscious side. 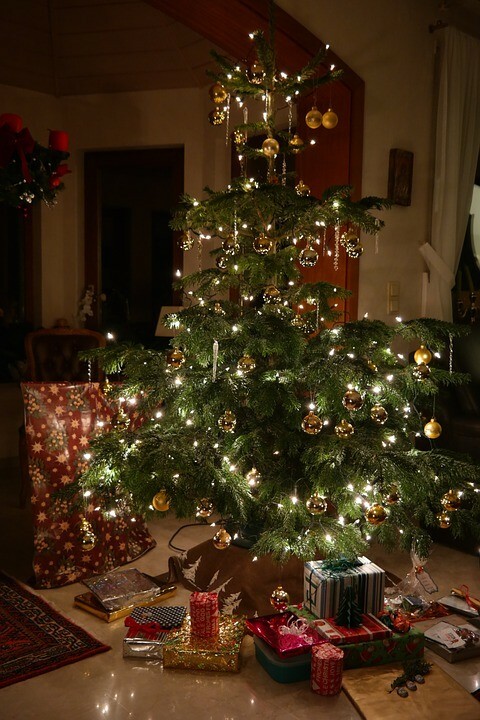 After almost 20 years, have moved in 2 countries and dozens of job experiences in my background I still love Christmas. And the same, I am sure, is for Rasmus Lerdorf and his team. This Christmas in fact, the development team of PHP will give us a new version of the language. the releases have been scheduled and deployed with unreal consistency and the list of enhancement has increased exponentially. Even if there will not be major differences between the new version and the one you have been using during the last year, it still worth to go over the new characteristics and check how these are going to affect your day to day workflow during 2019. I have divided all the updates into four sections, that are: Syntax, Deprecation, New features, and miscellaneous Changes. Heredoc is a polished method of writing strings that allows the creation of multiple lines of text without the use of the new line characters. Heredoc evaluates both variables and characters like double quotes strings do. This feature has been implemented several versions ago but it was very strict and forced the web developer to pay lots of attention of the syntax and indentation. The improvements in PHP 7.3 consist in making the implementation of the feature more accommodating and easy to use. the line can be intended with both spaces or tabs, it does not matter because they will be trimmed off from the content inside the heredoc. you can add other expressions, thus, as I am showing above you can use the heredoc statement inside other commands like for instance arrays. It could seem complicated to use but remember eventually heredoc and nowdoc are simple strings. Speaking about retro-compatibility with the older version of PHP, the guys that worked on this update did an amazing job, to make it simple, as long as you do not have any string that contains the same ending token you do not need to do anything everything is going to work just fine. In the example above the only valid ending token is the last one. The reason is that the last is exactly the same as the opening token whereas REINDEER and CLAUSSREINDEER are going to be displayed as content. I have barely mentioned but just to cover everything nowdoc is to heredocs what single quoted are to double-quoted strings. They are not evaluated for variables or special characters. It is scientifically proved that with the same amount of time that a web developer spends fixing syntax error in a script he could write the whole program again from scratch and no mistake. (Ok is not, but you got the point). Some of the most common errors are as simple as forgetting to add a semicolon at the end of a command or add a colon or a character where is not necessary. With the new version of PHP one of this problem could be, at least in some case, solved. As you have seen in the previous section looks like the core language is moving toward a less strict version of itself which will make the code more customizable meanwhile providing more control on error handling and debugging (you will see it soon). A trailing comma has been a problem for some web developers, forgot to put them somewhere needed or adding them where PHP does not allow can turn quickly in a complete nightmare. Now instead, as long as you use only one comma, you can add it at the end of the list and the script will parse smoothly. Having to interrupt the flow of coding in order to go back and fix these little syntax issues, maybe even just only 2 or 3 times in the whole day making the stress quickly escalate, which eventually will make the code look sloppy. Do not have to worry about this little syntax mistakes will improve substantially the overall quality of the project deployed. Something to bear in mind is that this new rule does not affect functions or methods declarations. To avoid it you can use variadic functions via the … (dot dot dot) keyword released in PHP5.6. The only parts I suggest to refactor if you need to clean up a bit is swapping the variadic parameters just seen to this trailing commas. But do not add the trailing comma on every array and method you see, use this new feature with thriftiness. List is a PHP construct (a command like echo to make it simple) that can be immensely powerful if you know how to use it. The syntax is a little bit is weird but once understood how it works it can be easily implemented. There is a lot to say about the list() command, I have handled the majority of it on articles about arrays function in PHP. In here you can see an array containing Christmas words, what we want to do in this case is to divide it and give a singular variable to each of the element of the array. This differs from explode() inasmuch the process is less automatic but gives to the programmer more control. Talking about the changing on the 7.3 version of PHP, the RFC of reference assignment on list() has been requested for the first time about 18 years ago bug on reference assignment. It means that when there is a change in any variable it affect the original data. How does list() change with PHP 7.3?. the advantage of it is that now we could edit a single variable rather than find the index within the array. Since this is a brand new feature and it was not possible to use this feature before there is no backward compatibility problem. However, even though this was a long-requested feature of the language, the PHP community now prefers to do it via value objects which will be passed by reference in any case and make the code easier to understand. dig deep in order to provide the most complete value possible. In this first part of the article, you have seen some of the syntax difference between PHP 7.2 and the new upcoming version. These above are just a few of a more complete list of updates that the team of developer lead by Rasmus Lerdorf has implemented. you can also see the list of the new features that arrived in PHP 7.3, and all the list of depreciation applied to this new version. While waiting for breaking change of the version 8, stay tuned and subscribe to my newsletter to get notified when the other parts of this article will be published. 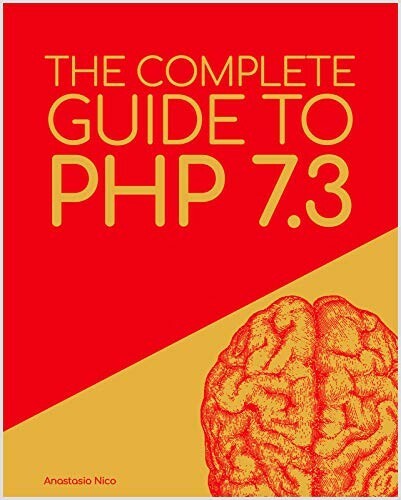 This blog post is a section of the Kindle book "The Complete guide to PHP 7.3"
It is now time for you to have a look at the new features of PHP 7.3 or if you need to review the code of your application you can check out all the PHP characteristics that have been deprecated and update your code.